Worldwide with US power plugs only? @serge-rosenthaler We're only selling the US version at the moment, and it's limited to US customers. When traveling, it's very likely that people already have the right kind of adaptor, so we decided not to include that in the package. @UBNT-Gunars, sorry if this sounds arrogant or unfriendly (I had a very intense discussion about this topic regarding the AmpliFi system with your supportteam and at the end the responsible product manager didn't even answer my emails) but your company thinks the wrong way around. You already have made this mistake with your AmpliFi system and now again. Why you do not design the system with interchangeable adapters. This would make it much easier for you to bring the product to more countries or at least gives you the possibility to expand to more countries with the same hardware revision and fiting adapters (after certification, regulation etc.) later. @serge-rosenthaler I think these are good points. It's more of an edge case for the mesh points, but Teleport is specifically meant for travel. It can't be changed for the current version, but we can evaluate this for the next iteration and future products. Depending on the power draw, USB power would make the most sense. @maj170123 It's too high for USB, unfortunately. @ubnt-gunars why not starting a second kickstarter campaign for the international version? @serge-rosenthaler We're not really using Kickstarter to finance development. It gives us an idea about demand and generates some publicity. That said, I will investigate the adapter idea. Saw demand for it from internal feedback as well. I am anxiously waiting for my TELEPORT to ship. I purchased 3 AMPLIFI HD units (routers) and 1 wifi mesh, and have 150Mbs down all over my house. My son lives in Germany and I've ordered a TELEPORT for him. The chatter about the plug adapters? Go to Amazon. 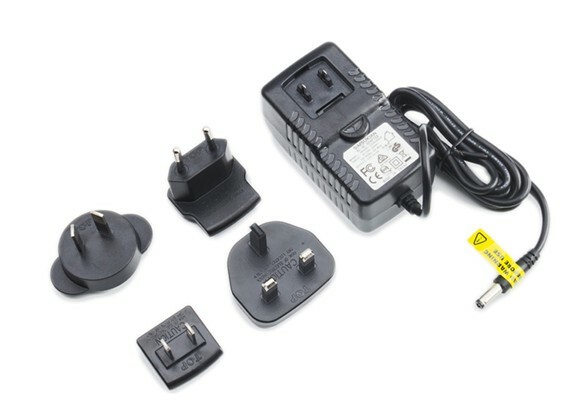 I bought a dozen of the US to Euro adapters for about $15 and they work fine. Not a big deal at all!